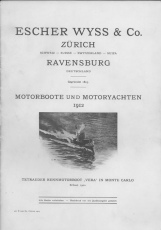 92 page pdf file from the original first edition published in 1891 for the cost of one shilling (5p). 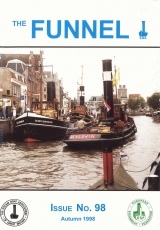 Zoom Funnel magazine issue no 100 This is a free downloadable copy of the 100th edition of the Steam Boat Association magazine "FUNNEL". The file is about 11 Mbytes and there are 84 pages plus cover. 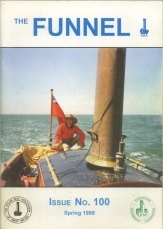 Zoom Funnel No. 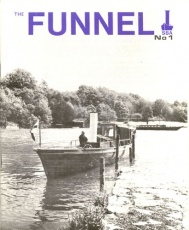 1 - downloadable file of the first magazine published by the SBA This is a free downloadable copy of the very first Steam Boat Association magazine "FUNNEL". The file is about 2.5 Mbytes and there are 16 pages. 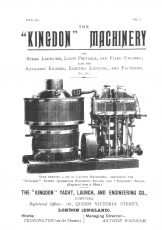 This magazine is no longer available in print. 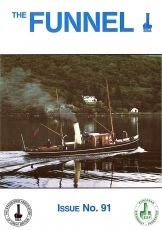 Published in February 1972 the writing show enthusiasm for the future of steam boating. 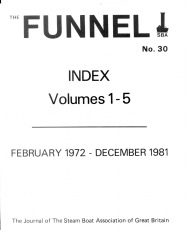 Zoom Funnel numbers 1 to 9 compendium This downloadable file contains the total contents of the SBA Funnel magazines 1 to 9 giving a total of 222 pages. 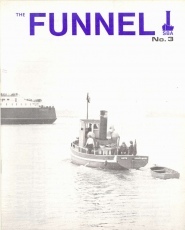 Zoom Funnel numbers 90 to 94 compendium This is a PDF scanned copy of the Steamboat Association quarterly Funnel magazines from No.90 to No.94. 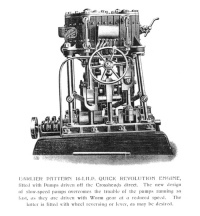 Zoom Index of J. Samuel White Drawings This is a free PDF download list of all J. Samuel White drawings held by the trust.